The story of my daughter Alexandra "Alex" Scott's mission to find cures for other children fighting cancer, when she was facing her own battle, is one that has resonated with people across the country and world. Though Alex certainly wanted to see a cure within her lifetime for the childhood cancer she was fighting (neuroblastoma), she was equally concerned, if not more so, with making sure others would have the chance of cures. Alex set up her front yard lemonade stand and never looked back, she had a determination, persistence and never gave up, traits that I have come to see in many other childhood cancer fighters. I have always felt that childhood cancer fighters share a maturity beyond their years, as well as a hope and positivity that we should all have more of. Recently, one of our childhood cancer heroes, 10-year-old Maya Rigler, proved that she is a force to be reckoned with. Maya first battled childhood cancer, Wilm's tumor, when she was just two years old. 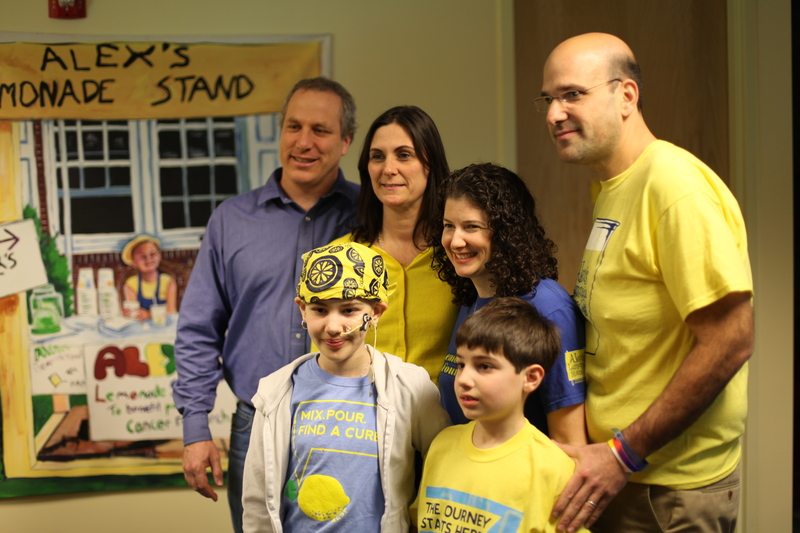 As a cancer survivor, Maya and her family decided to raise funds and awareness for Alex's Lemonade Stand Foundation as a way to remember how lucky they are. Their family held annual lemonade stands near their suburban home raising a few thousand dollars and were frequent guests at Alex's "Original" Lemonade Stand. Maya and her family had been happily moving through life as a survivor when in mid-January, her parents noticed something had changed. So, they headed to the doctor where it was discovered that Maya had another cancer, this time Ewing's sarcoma. Unfortunately it is not unusual that children develop secondary cancers later in life, a side-effect of the harsh treatments they endure. However, Maya's doctors believe that this cancer is completely unrelated, and to their knowledge not something that was part of the "possible." Maya took the news in stride, and when friends started asking how they could help, she said she wanted to raise funds for Alex's Lemonade Stand Foundation. And that's exactly what she did. Maya set up a fundraising page on our website on January 27, 2015, with a goal of $10,000. How wonderful would it be for her to reach that she thought, but what she didn't anticipate was just how quickly that moment would come. In fact, it came so quickly that she raised her goal, something she would do many times over until finally settling at $100,000. On Monday, less than two months after her first donations began pouring in, Maya's Virtual Lemonade Stand passed the $100K threshold, and she showed no signs of slowing down. Her goal is now $250,000. Maya's family visited the Alex's Lemonade Stand Foundation office to commemorate her milestone. Words cannot express how special children like Maya are to us. While no one would blame her for being negative or terribly scared, Maya has instead been nothing but positive. When it was time to make the announcement of raising $100,000 on her Instagram, Maya drew similarities between the bald heads of cancer patients, and those same bald heads of emojis - we use them so often in our everyday lives and that never even crossed my mind. We may not know what lies ahead for Maya, but we know that whatever it is, she will meet it with strength, bravery, determination and optimism, just like Alex. There are so many more things that I could say about Maya and her family to conclude this blog, but instead of trying put it all into words, I'll let her mom, Stacy Rigler do that for me. 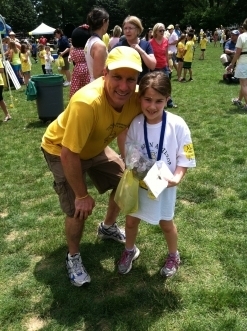 "Ever since our daughter was first cured, we had planned our first Alex's Lemonade Stand. We read the book Alex and the Amazing Lemonade Stand and watched the documentary each spring during Alex's Lemonade Days. We held our first stand and brought the money to Alex's "Original" Lemonade Stand, a tradition that my family has upheld for the past seven years. Each year our efforts grew, involving her class, our places of work, anyone who might want to be involved. Looking back I don't know if it was the inspiration of a courageous little girl who lived so close by, who was treated at the very same hospital, or our continued commitment in a world where it's hard to keep commitments, but I know that she and her siblings have gotten the message -- "when life gives you lemons, do something about it."